I started this blog many moons ago because I wanted to do something fun. The day job was boring and tedious, I was seeing a therapist and listening to Mark Kermode religiously - and these three things collided, and here we are. But lately, it's not been as much fun. I'm not dashing home to write things straight away, life is hectic, and at times I really do wonder why I'm still pursuing this. I don't say that for a morale boosting message or any shouts of support, but more that I find myself completely out of step with perceived wisdom. Not for the first time, I'll admit, but it seems somehow bigger this time. 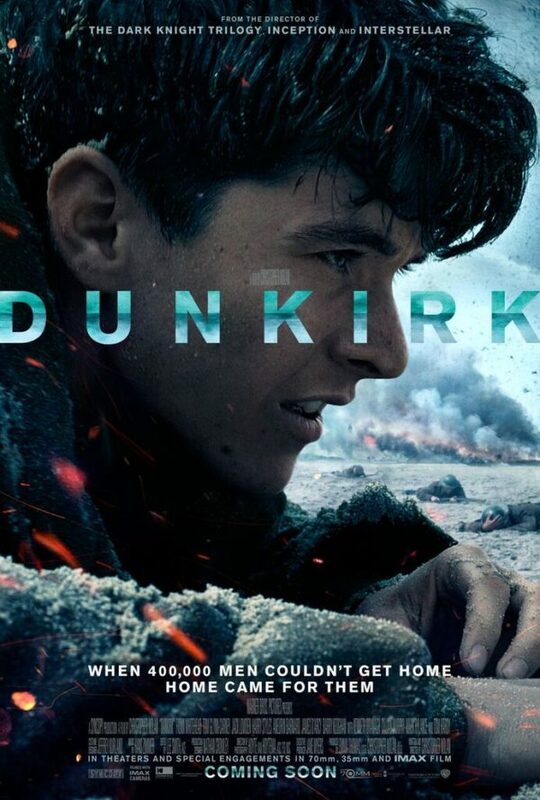 You see, I really didn't enjoy Dunkirk. It was OK. It looked nice. But it was also too long and more than a smidge boring. And yet every review I read or hear tells me it was an amazing film. Everyone else seems to have watched the film I wanted it to be. I have been pondering for a while the impact of depression and depressive episodes, such as the one that is finally ebbing away here, on watching films. And maybe that was part of the problem. But the more I think about, I don't actually believe that. Like many, my grandfather was on the beach at Dunkirk. He came back on a boat called the Sundowner, sailed by a man who had survived the Titanic going down (something which offered a brief moment of levity amongst the shock and seasickness apparently). And I wanted Dunkirk to tell me his story, to allow me to experience what he had been through - because Lord knows he was never one to talk about it (quite reasonably, all things considered). But instead, after a good opening, I got a film that was trying to tell so many stories at the same time that it failed to have any real focus. We got a sense of what the soldiers were feeling (well, not the ones queueing to escape...), the officers, a boat captain, the pilots - but fleetingly and sporadically. And then there's the time line. A film like Inception can bounce around all over the place and that's fine - it's exactly that kind of film - or you can just rip up the rule book in Interstellar. However, events unfolded in a very specific way on that beach. And yet we flick about from morning to evening, when seemingly things should be happening at the same time, with gay abandon. And who, apart from the guys on the boat, do we spend enough time with to actually good to know? And how long does it take Hardy to land that damn plane? And why, why, why, did we need that extra bit of drama on a day when hundreds of thousands of soldiers are being bombed and shot at? Was the original story lacking something, Christopher? And next time you ask Zimmerman to do the score, tell him less is more. Subtlety is key. We don't need smacking over the head with the whole damn orchestra. I think I might have been angrier about this film than I first thought. I've heard from friends who were blown away by Dunkirk (no pun intended), and in one case their seven-year-old son was so inspired by the film that they went home and started reading more about WWII. If we can keep the story alive and introduce it to new generations that's brilliant. But, personally, I got bored. Unheralded peril and drama was being re-enacted, and I just got bored. Like Interstellar levels of bored. Yes, Dunkirk looks fantastic, but overcomplicating things took away from what should have been an intense, moving experience. My, I could have written that if I could articulate my thoughts...as it is I refer to my good friend Phil McCock who summed up the film for me with his comment 'well that was bollox weren't it'.